This might be a good word to describe advent and the stories that lead us to Jesus’ birth. God is calling out to people in Luke’s first few stories, hoping they respond, getting people ready to see Jesus for the first time. As he speaks, we can almost hear them saying…Hello? 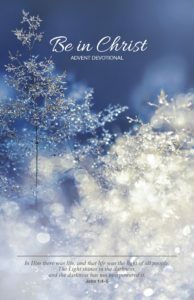 We stole the title of this old Christmas song for the title of our advent series. This song is most definitely a song about peace, and the longing for it. Slowly, but surely, the writer guides us, like a good advent tour guide, to Jesus, the child, who you should know, and listen to, as he is the Prince of this Peace – and peace is so coveted by the world. Whoever has access to your ear, has access to your life. Mary and Zechariah’s stories are lead ups to Jesus birth. The Shepherds come shortly after the birth. Common Theme? God speaks to them. They respond. The story begins…and then continues because of them. Will we turn down the noise, and turn up the volume…to hear the voice of Jesus in our lives? – Census happened every 14 years, and it accomplished 2 things: made sure people paid the right amount of tax, made sure men were enrolled into the army. – It did something else…it brought Mary & Joseph to Bethlehem. Every part of this story is important. Every part of your story is important too. Never forget that. Yet, they are the ones who hear the angelic announcement – they are the ones who see Jesus first. – It’s like we turned ‘caretaker’ into a word for a King…it’s beautiful…it’s transformative…it’s God’s way of doing things – using the most unlikely of people to make a difference in the world. Isn’t it like that most of times? We find a transforming thought in the most unexpected of places…children, students, the poor, the lower level, etc. Again, this is how God works; the least of these will share the greatest of messages – the gospel. The Shepherds were given two clues to find Jesus: A baby wrapped in cloths, and a manger. Simple signs that become significant in the story. And isn’t that how most things happen in our lives? We never know how important something is until it plays out. We only see the significance of a sign or a clue or an interruption, after the fact. Then we can be thankful that it occurred. Our family invited a dog into our home two years ago. I never wanted one, but alas, Rocky has become part of our family. I’ve learned a number of things about dogs these past two years, one is this: when you point to something for the dog to look at or fetch, they don’t look at where you’re pointing, they look at your finger. They get enthralled with your finger and have no clue what you’re actually pointing to. We do the same with signs…we get caught up with the signs…but they are important only because of where the signs lead. Through out this advent season we’ve been encouraging you to listen for God’s voice in our life. To make his, the most important voice you tune into. To lower the noise around you and set your dial to what God is saying. The question is, once you hear what he says, how will you respond? The Shepherds show us the way. How will you respond to God’s voice in your life? How are you planning to respond to what he’s saying? May we be like the shepherds, who, while doing the most ordinary of things, were able to hear God’s voice in their lives. They followed the signs that led them to the Saviour. They were so blown away with it all that they couldn’t keep it to themselves and instead told everyone they could. 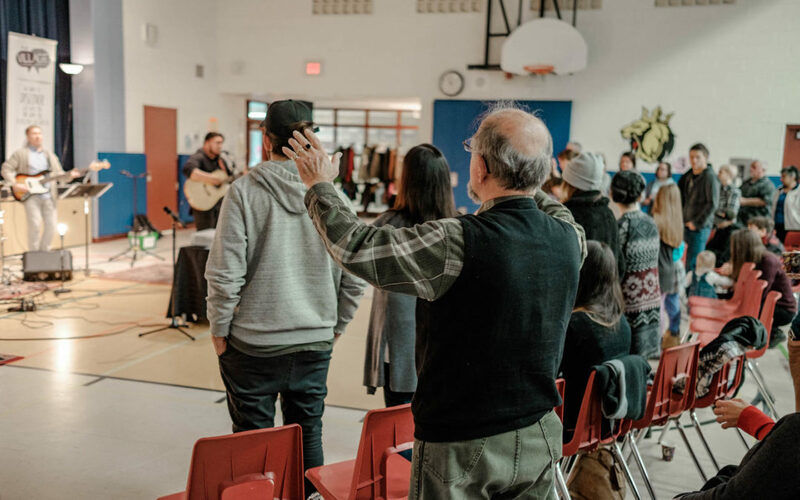 And when it was over, they worshiped; they thanked God for speaking to them, for leading them, for entrusting them with this news, and for changing their own hearts and lives in the process. I found myself in a Starbucks on Friday night…working…waiting (for my kids)…wanting to hear some of Lauren Daigle’s new Xmas album (she’s good). One problem, I didn’t have ear buds with me. Instead, I had to listen through my iphone’s small speaker. Not good quality at all, as I’m missing all the good and important parts of the music that support Lauren’s beautiful voice. And to top it off, I’m competing with café noise, store music, and a bit of café chatter. This would’ve been a good time to have a great set of earphones or headphones. 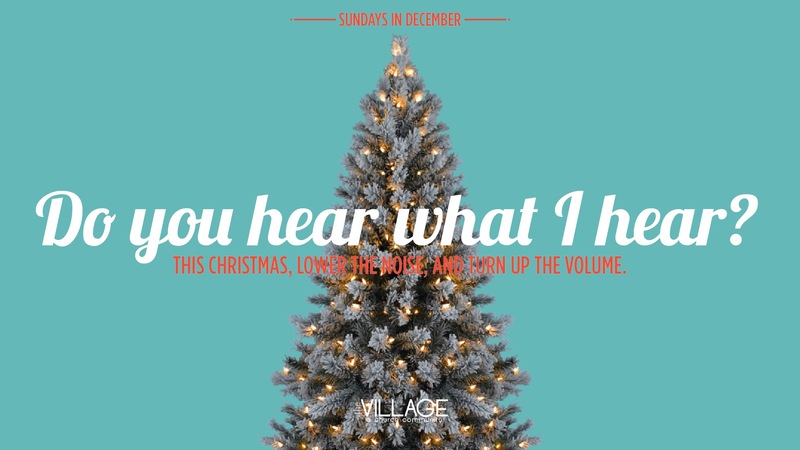 If you crack open a Christmas flyer, you will be sure to find a section on music listening devices…things like as bluetooth speakers, headphones & ear buds are very popular items this time of year. It’s a huge market. In 2017, the bluetooth speaker market alone was 3.4 billion. This is expected to reach 8.5 billion by 2023. 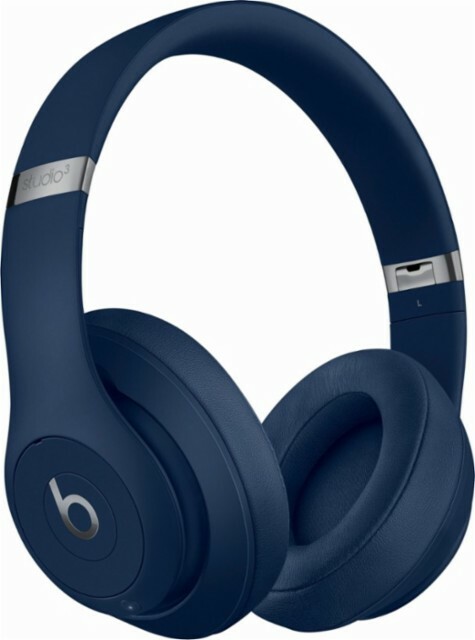 Back to headphones; when buying one of these said headphones…what is the most popular feature? Noise Cancelling! The goal of these headphones and any kind of speaker, is to help you, the listener, only hear and focus on…the music…the podcast…the voice! 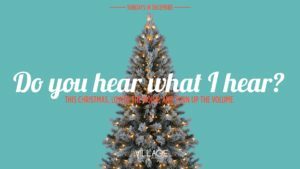 Last week we talked about the Christmas song, ‘Do you hear what I hear?’. Written by Noel Regnay and Gloria Shayne, in 1962, during Cuban Missile Crisis, it’s a song about the fear of war and the longing for peace. Listen, the writer says, for a voice, a voice as big as the sea. I really believe he’s contrasting the fears of citizens hearing bombs fly through the sky, to the one who truly has a voice that big – GOD. We choose who’s voice gets a hearing in our lives. We know there’s competition, but in the end, we choose what goes in. We choose who & what we listen to. Just like we choose what fills our calendar and our schedules…we choose what fills our ears… our minds…our hearts. So…will we turn down the noise, and turn up the volume…to hear the voice of Jesus in our lives? Advent is a great time for Christians to reflect on the witness of Mary. I’m so grateful for her because she holds the contemplative and justice traditions together…She deeply ponders and daringly prophesies. This of course is a pre-birth narrative – because babies aren’t just born, something has to happen before birth. And this was an important birth. Larry King was asked who’d he’d interview if he could only choose one person behind the desk with him. He said, Jesus. Because if Jesus could prove he was born from a virgin, that would change everything. He was. It did. What can we take from this message to Mary? God sends an angel…God starts this! If God wants to talk to you, he will talk to you. That’s the way it works. God calling us and us responding with an ‘hello’ is a grand theme in scripture: God initiates! How amazing is that? God’s a conversation starter! Yet, what do we hear the angel say, “you are favoured.” Does the favour come before the choosing or the other way around? I’d say it works like this, God chooses you, therefore you’re favoured. Mary was perplexed and confused. This story reminds us that we are allowed to wonder…it’s ok to ask a follow-up question…God can handle it. God overshadowed Mary. What a beautiful and mysterious description of what happened. Overshadowing is normally a negative thing…right? Someone taking the credit from you. But think of it as being wonderfully and beautifully overwhelmed by God. Someone described it as a BIG tree that overshadows you, covers you, protects you, envelops you. Mary recognizes at that moment, that God is so much bigger than her – that her story gets enveloped in God’s story. If God asks something of you, he will come through. Often, we’re afraid of what God might want to say, or ask of us, because the task or the outcome seems too daunting, too scary, impossible to succeed. You’re right, it is. But there’s one big difference – with God, nothing is impossible! Press “1” for yes… “2” for no… “3” for French… “4” to hear this message again. Mary’s presses “1” with an emphatic YES. 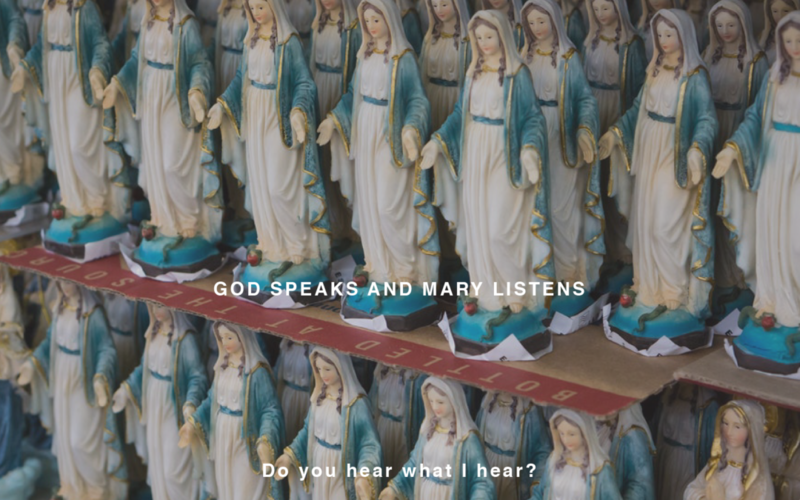 Everything that happens in this story…and everything that follows in this gospel, happens because…God speaks…and Mary listens! Are we hearing what she heard? Are we hearing what God wants to tell us today? Think about the ripple effects of your YES’s to God’s voice and message in your life. Remember this, when God speaks to us, two things happen: Either He’s working in us. Or. He’s works through us! Are you willing to listen to God’s voice? Worthy or Unworthy? If you think you deserve to hear him or not? Will you push through the noise and clutter, to hear what God has to say? What’s competing with God’s voice in our lives? Will you say YES? Press “1”? Even in the midst of the confusion and questions, will you trust God enough to say yes, allow him to overshadow you, allow him to use you? Allow him, dare I say, to use you to share Jesus with the world? What’s your part in this story? Each week we will be providing “Take Homes” for you to use to continue the discussion at home with your kids. An administrative reminder that we are redoing/updating our registration at The Park. Thanks to those of you who stopped by the registration table last week to fill out family registration forms! If you have not done so yet, please grab a registration form this week to fill out. All families (new and old) will need to complete this registration. 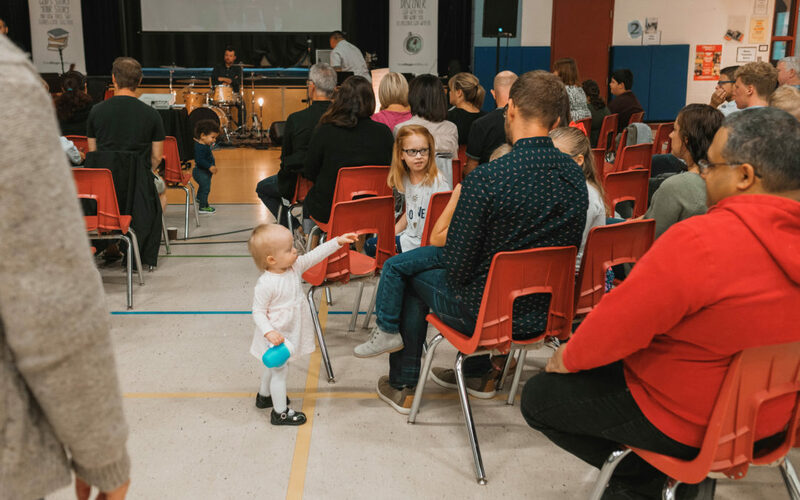 Get your Family Registration Form here! Some people can only think of the late Bing Crosby when they hear this tune. This song was written by Noel Regney & Gloria Shayne, (who also wrote…Rain, Rain, go away…go figure). in 1962, during the Cuban missile crisis. The song was actually a powerful plea for peace by a man who had experienced the horrors of war. Peace was in high demand then, as it is now. While fighting for Germany he became a part of the French underground (SPY). Led the Germans’s into a trap with the French, but still felt guilty about it, as he was well aware of human tragedy in that moment. After escaping and living underground until the war was over, he became a musical director on the Radio and in Clubs. Moved to Manhattan in 1952. They wrote music together. She lyrics, he music, except for this song. Who would’ve known all this about a Christmas Carol? DO YOU HEAR WHAT I HEAR? Was Noel & Gloria’s plea. They want to know if their listeners, were as concerned as they were. Are we as passionate as they were for peace? We want to ask the same question this advent season. DO YOU HEAR WHAT I HEAR? Are you attentive to what is going on around you? Are you attentive to God’s voice in the midst of it? Are you aware of the brokenness? Are you aware of God’s presence in the midst of it? Are you listening to what God is saying, in, and into, the real matters of this world? Do you HEAR HIS voice…today? Over the next 3 weeks we’re going to walk through Luke 1. We want to hear what they heard. We want to see what they saw. And we want to discover how we can hear God’s voice, just as clearly as they did. Why? Because if we’re not careful, our ears will be filled with noise that doesn’t help us at all. The question is: will you turn down the noise, and turn up the volume? For this, we look at 3 characters that ‘heard from God’. I want to learn what they heard, and I want to hear what God is saying to me today? Luke is a story teller who sets up the story well. Know that we’ll eventually get to Jesus, but first, the preliminaries. Let’s read through this story and see what we learn…what we HEAR! Zechariah was a priest & Elizabeth was from a priestly family. Both lived according to the law and lived good lives (righteous). We learn here that Elizabeth could not have children…and that they are both…older. 8 One day Zechariah was serving God in the Temple, for his order was on duty that week. 9 As was the custom of the priests, he was chosen by lot to enter the sanctuary of the Lord and burn incense. Now…this didn’t happen to every priest. It was a once in a lift time opportunity. They were chosen by lot; kind of like drawing straws. Who ever got the ‘unique’ piece from what they chose, was chosen to go into the inner sanctuary. The chances were slim to have this opportunity. Like my chances of winning anything…very slim (anyone else with me?). While inside, his duty was to burn incense. 10 While the incense was being burned, a great crowd stood outside, praying. 11 While Zechariah was in the sanctuary, an angel of the Lord appeared to him, standing to the right of the incense altar. 12 Zechariah was shaken and overwhelmed with fear when he saw him. Zechariah wouldn’t have been expecting this. Maybe he thought that this is what happens on the ‘inside’. But he definitely wouldn’t expect it. What’s a normal response to an angel sneaking up on you? Fear & trembling! Freaking out a little. Then comes the words…the message! This is amazing. Zechariah & Elizabeth have been praying for years. And God tells them they will have a son. Not just any son, but John the Baptist. Your son will prepare the way for others to receive Jesus; to receive God into their lives. He will get others ready for God’s ARRIVAL! Can’t imagine what that responsibility felt like, we can hardly get ready to receive company, making sure things are in order for people to arrive. John was getting Israel, the world, us, ready to receive Jesus. This is the first of Luke’s layers that lead us to Jesus. GOD. Through an angel. Speaks to Zechariah. Zechariah. Listens to this message from God. Think about this for a second. The message is of course amazing and life changing. For him, for Israel, and for the world. But the shear fact that it’s GOD speaking to him. WOW. Can’t spend too much time here, but Zechariah gets snubbed. His mouth is shut. Doubt creeps in. What would we learn if you couldn’t speak? If you could only listen? What an Amazing way for Luke to start his gospel. 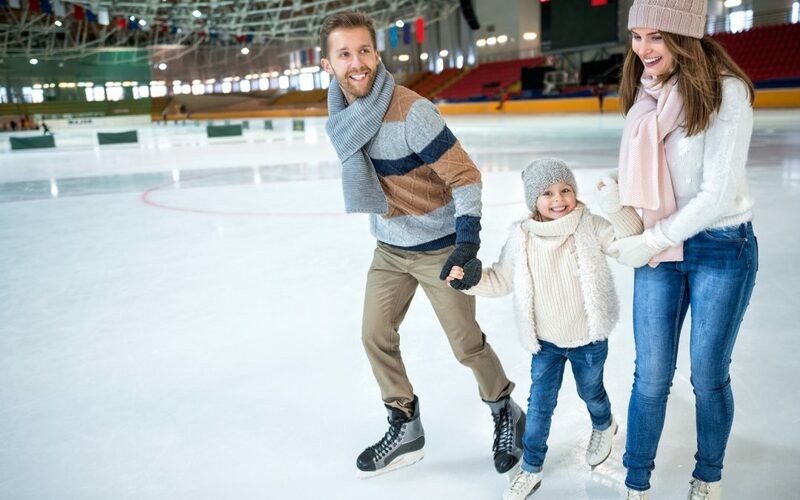 If you know a bit of the OT, you’ll recognize a theme here…older married couples having children…more importantly, miracles of birth and new life, when all hope was essentially given up. So many things to take away from this first episode in Luke’s gospel; let’s focus on a few. Are you willing to listen to God’s voice? When you’re ready or not? – Zechariah may have been a priest, but this was not something he saw coming. – In your everyday life, routine, rhythm, if God speaks, will you actually hear what he has to say? – What might be in the way of you hearing God’s voice? – Is it noise? It is you? Does there have to be an adjustment of sorts? Noise down, Volume up? Will you take or make time to be attentive? – I find advent to be a great opportunity to centre ourselves. Reading/Prayer/Worship. Everything we hear from God either works toward preparing our hearts for him, or is a tool to use us to prepare other people to receive him. God speaks to us…to work in us…or to work through us.